This article on Protect Your Bubble Pet Insurance is one of a series of reviews we are featuring on different pet insurance companies, and the policies they offer for dogs and cats. Protect Your Bubble’s Premier policy was awarded 5 Stars (the highest rating) by Defaqto, with a price that puts them at the higher end of mid-table (i.e. versus their competitors). So for those who want a good policy with a wide range of benefits – without breaking the bank – this may be a solid option. The Standard policy, rated 3 Stars, offers many of the same benefits but usually at lower levels of cover. 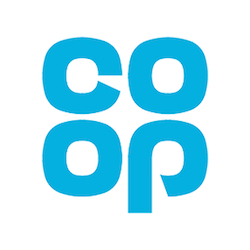 Their Economy policy, meanwhile, has very few features and was rated only 1-star by Defaqto, so is perhaps best avoided except for those seeking a very low-cost option. Follow this link to get a quote at their website. NB: for more information on Defaqto, see our ‘What the Expert Reviews Say’ section toward the bottom of this article. Protect Your Bubble are relatively new to the UK insurance market, having launched here in 2008. 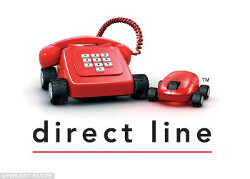 They offer insurance in a number of different categories, including pet insurance and gadget insurance. They have recently expanded into a number of different countries, including the USA, Ireland and Brazil. Protect Your Bubble offer 3 Pet Insurance policies: Economy, Standard and Premier. Protect Your Bubble’s Standard and Premier policies offer most of the usual benefits you would expect from a good pet insurance policy: Death from Accident or Illness, Boarding Kennel Fees, Theft or Straying, etc. (In most instances, Premier offers a higher maximum amount for each benefit). Be aware that most of these benefits are not included with the Economy policy. All of Protect Your Bubble’s policies include Third Party Liability insurance for dogs, with a maximum amount of £1 million. Do Protect Your Bubble have any age restrictions for their Pet Insurance? Protect Your Bubble do not have a maximum age limit for their pet insurance policies; both dogs and cats must be at least 8 weeks old. Note that ‘death by illness’ can only be covered for dogs 9 years or under and cats 11 years or under. How much does pet insurance from Protect Your Bubble cost? With almost all pet insurance companies, the cost of pet insurance varies widely depending on factors like the age and breed of your pet, and which part of the UK you live in. But to give you an indication, we obtained the following quotes from Protect Your Bubble’s website. How does Protect Your Bubble Pet Insurance compare to other pet insurance policies? See our article on Top 10 Pet Insurance policies for more information on how Protect Your Bubble fare against their competitors. Protect Your Bubble pet insurance has 8.9 out of 10 on TrustPilot from over 15,000 reviews. 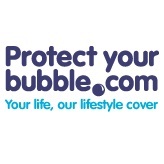 Follow this link to get a quote from Protect Your Bubble Pet Insurance.